This boat will be RUS 1(b), once a solution to double numbers is found. Boat data source: The Aisher questionnaire from the early 60's and the Kungsörs website. 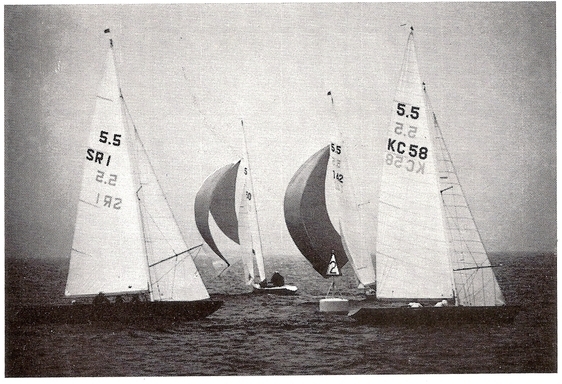 The first Russian 5.5, sailing in the Helsinki Olympics 1952 was SR-1 "Burevestnik", which will be RUS 1(a), then; more info on that boat is not yet available.